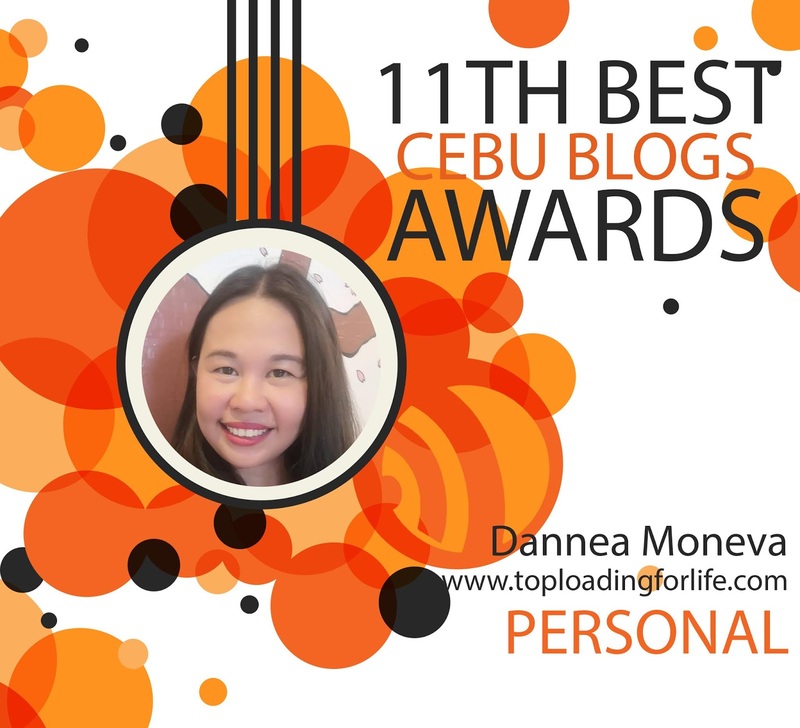 Being a Best Cebu Blogs Awards (BCBA) Finalist - A Blogging Landmark! This was the email message I received on the evening of October 24, 2018 from the #BCBA2018 organizers. It was quite unexpected but, just like a ray of sunshine on a cloudy day, that announcement was definitely a welcome surprise. Still enjoying a happy buzz because of this, to be honest! The BCBA or the Best Cebu Blogs Awards happens each year and it recognizes Cebu-based bloggers. It is the only (as well as the pioneering) awarding body in the city that celebrates bloggers for their hard work and the value they give to the community in general. The awards kick off by accepting nominations. The nominees, who have to be Cebu-based, are then whittled down to a short list of finalists. The finalists are also categorized according to their blog niches – Tech, Travel, Events, Photos, Personal Blog, etc. Then on December, the finalists will gather at a pre-designated venue for the awarding ceremony. This year, the awards night will be at Bai Hotel and will be co-presented by PLDT and SMART. Other partners include Oppo, Megaworld, Krispy Kreme, BPI, and more. Hosting this year’s awards ceremony is famous Cebuano online personality – Alem Garcia aka KatKat Queen. It will surely be a night of appreciation and inspiration and I can’t wait to be there! Congratulations to the other nominees! As a blogger, I am aware of the BCBA. I have seen some of my friends in the blogosphere get nominated and awarded before. But I actually never thought I’d be involved in something like this. When I received the finalist notification, I immediately asked myself if I was worthy. Perhaps they made a mistake. Yes, I take this travel blog seriously, but I know that there are so many more amazing blogs out there worthy of recognition. I have always treated myself as an outlier, someone on the periphery just looking in. Life is full of possibilities. Let’s take that journey. But ever since I joined Cebu Content Creators (C3) – a group of inspiring bloggers here in Cebu – I have gotten more involved in the blogging community. And I truly appreciate that for I have learned a lot! I appreciate even more the fact that when the BCBA started accepting nominations for this year, some of my C3 friends took the time to nominate me and my blog. Thank you so much for seeing value in my work. I am deeply honored that you consider my content worthy of your nomination. I shall return your sentiment by banishing the doubts and, instead, welcoming life’s endless possibilities. Thank you as well to all my readers for your continued support! The main goal of Toploading for Life is never fame and awards. This site has always been a passion project of mine. I love writing but working as an SEO content writer, I need to stay within the standards imposed by my industry. So, I wanted an outlet where I can just write freely. Since I am obsessed with travel, it wasn’t a hard decision to start a travel blog. When I realized that other people in my circle actually cared about my travel stories and started asking for tips and advice, this website’s purpose evolved into something bigger than me. Adventure courses through my blood, so I jumped right into creating a blog that is not only a reliable travel guide but also a source of inspiration. Toploading for Life is not only a blog about travel, but it also serves as an inspiration to celebrate the wanderers in us. Yes, many consider us as a “third-world country”. Indeed our currency and economic power lag behind other countries in the world like Singapore, Japan, the UK, and the US. True, our passport is weaker than others and won’t get us through the immigration gates of many nations without the added power of a visa. A visa that we have to go through hoops to obtain. A piece of paper that can be so expensive to get most of the time. Despite all of these, I have come to understand that many of us Filipinos still want to explore other corners of the world. And why should we not, right? There is so much to see and learn out there. So many discoveries worth experiencing for ourselves. These realizations fueled me to commit to making this blog what it is today – a repository of practical guides and of my travel experiences that will hopefully inspire readers to embrace their wanderlust. I will continue writing on this blog for as long as my fingers can breathe life to my thoughts and emotions. With all of that said, I am super happy to be one of the BCBA finalists. Ecstatic to be considered as one of the #TopCebuBloggers. My blogging journey has always been filled with twists and turns and I expect that will be the case moving forward. There have been many stumbling blocks and stop lights, but amazing moments have also appeared to light the road in bright keep-going green. Being a finalist is definitely one of those amazing moments. It is an awesome reminder that I am doing something right. I believe that this serves as a spotlight for my blog to reach more Filipinos who might be hesitating to start their travel adventures. If I am able to help and inspire even one more aspiring Pinoy traveler to pack up their bags and go, then that is a major win for me and this blog. Standing where the light is. I am extremely honored to be a finalist of the Best Cebu Blogs Awards. This is a terrific landmark that I have achieved in my blogging journey and I am happy to keep going and to explore what other adventures the future holds. They say that if you want the light to come into your life, then you should stand where it is shining. So, here’s me embracing the light of this nomination with open arms, an adventurous spirit, and a grateful heart!